We are engaged in the manufacture and export of an assortment of filteration equipments. These products are globally acknowledged for its corrosion resistance, high performance and resistance from all weather conditions. Used in a gamut of industries, the products can be customized according to the specific requirements of our clients. 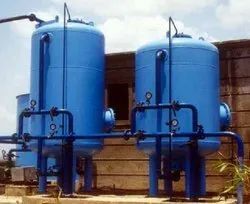 We offer a large array of Sand Filters systems that are used to produce effluent which is low in suspended solids. 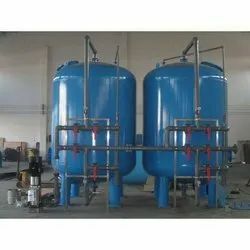 The filtration process includes passing of water effluent through the filter medium which strains out the colloidal particles such as earth particles, fine sand, anthracite, or filter fabric. The product is used to remove free chlorine, phenol, taste & odour and reduction COD/BOD. 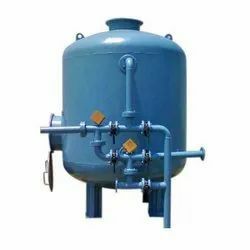 Operated under pressure, the product has a back flushing arrangement, which effortlessly flushes away the deposited impurities at carbon granules. The water is passed through an under bed media and granular activated carbon layer. We offer a wide range of Dual Media Filters which includes Pressure Sand Filters and Activated Carbon Filters. All of our filters are used to remove humidity of the turbidity and organics, dechlorination, etc. These filters can be provided in definite configurations, as per the client’s specifications. Backed by a team of R&D experts, we provide Side Streams Filters in customized options, as per the specific needs of our clients. These filters are used to remove impurities and receive appreciation for its high efficiency, better and stable performance and durability. Looking for Filteration Units ?